As you all know in current time Android VS IOS is going on too much. 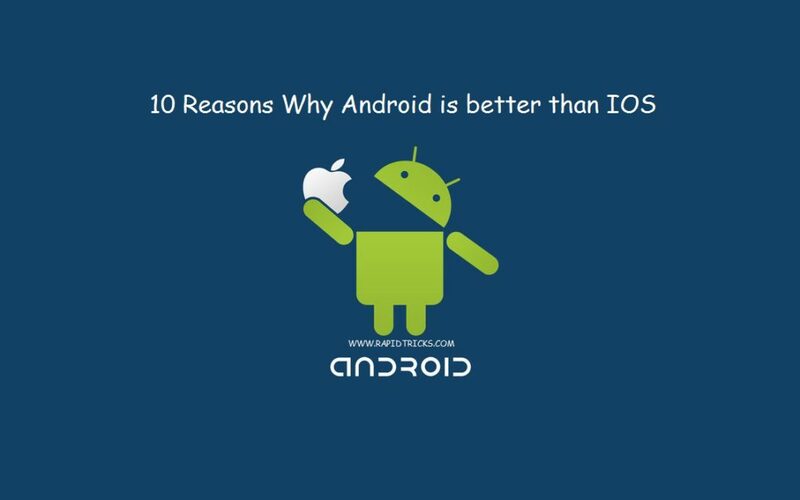 So today we are going to tell you the 10 reasons why Android is better than IOS. it’s been almost 9 years ago, when Apple’s massive operating system IOS was released. Initially IOS 1.x series was developed in June 2007 but it was not publicly released at that time. Later IOS 2.0 was released publicly in July 11 2008, and finally apple released it’s first IPhone of the series in June 2009, which was named as IPhone 3. Now talk about Android, Google’s massive operating system was acquired by google in 2005 by it’s developers in approx $50 Million. Google officially launched Android in 2007 and the first Android phone was HTC Dream. 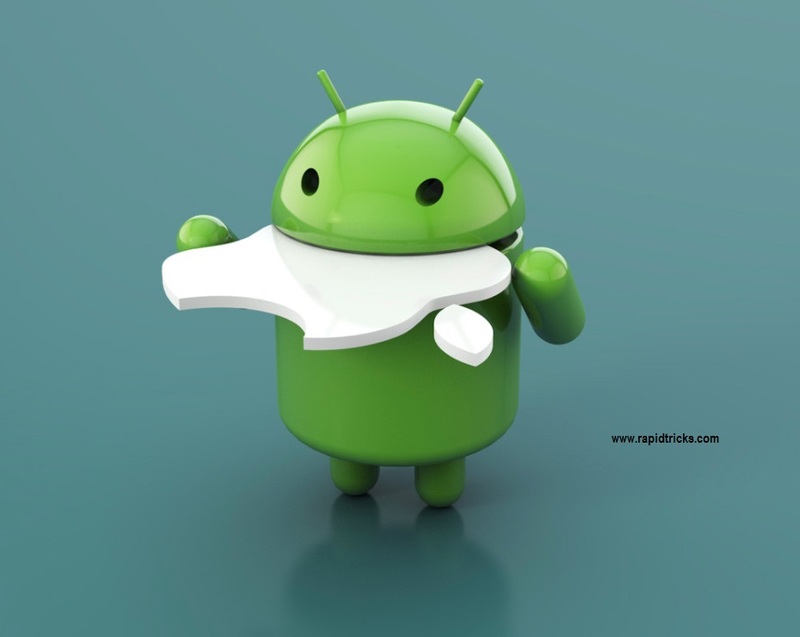 To know more about android and it’s Amazing facts read this Article. Android devices are cheaper than IPhones which is one of main reason why Android phone sale is growing rapidly. IPhone is an expensive device which everybody can’t afford to buy. when a middle class person buy an smart phone he always worries about it’s price, because he wants something cheap and best. in today’s time you can easily buy an Android phone in less than 5K which proves Android is fr everyone but not IPhone. The Multitasking feature that IOS have, does not meet user requirements because it is not actually an full multi tasking feature as people wants from IOS. You can see long time ago android gave it’s user multi windows feature which enable users access multi applications at a time. However IOS does not even come near in multi tasking which Android offers. Android offers a lot of free games and applications on google play, whereas IPhone have mostly paid Apps on App Store. which is also the main reason why people skip IOS and attract towards android. One of the strong point of android is customization, users can easily root their smart phones and take full control on their apps. users can easily delete any system application also. IPhone don’t allow customization and keep control on default apps to maintain it’s homogeneous software and hardware experience. Android offers many cool launcher apps for customizing home screen’s style. While Apple do not allow users to customize their home screen and all the users have same home screen. Which sometime looks awkward when you site with some android phone users and everybody have different home screen style and you can’t even change your home screen. Android offers awesome widgets to set on your phone’s home screen. users can easily add shortcut widgets on their home screen and they can access them easily. IPhone do not allow user to add any widget on their home screen. Android users can install custom Rom on their smart phone, which allows them to replace original software comes with their smart phone. Many users install custom ROM on android because android do not give new version updates to every phone. some of the android users want to use some tools and apps which do not work on their original operating system, that’s why they Root their phone and install custom ROMS. Google integration is very useful service provided by google to it’s users. unarguably google dominates the web with it’s awesome services like Google drive, Google Music, Google Map, Google Docs, Google mail, Google plus, Google hangout.. and the list goes on, but IOS do not provide these apps integration. Everyone knows if you are going to buy and Android smart phone then you have plenty of choices between companies and also their phones. currently almost all the companies are collaborates with Android even Apple also announced android phone, that is the power of Android operating system. Android is growing and moving very fast, and that’s what today’s generation wants. Android has millions of developers who are working day and night to improve Android and developing new features. So these are the most important 10 reasons “why Android is Better than IOS”, and android wins the battle of Android VS IOS. Which one of these reason is important to you? tell us in comment box.